The MoviePass Reboot Is Here. But Will Moviegoers Want It? The year has not been kind to MoviePass, and MoviePass, in turn, has been unkind to its subscribers. Its increasingly precarious financial position—parent company Helios and Matheson, lost $137.2 million last quarter alone—has prompted increasingly onerous restrictions on its service, from draconian anti-fraud measures, to surge pricing, to restricting available movies and showtimes so severely that finding a good one can feel like hunting Bigfoot. Early on, MoviePass was derided as too good to be true. Its critics were correct. Now, after months of testing and a review of its operations, the company believes it has a solution: a suite of new plans, and prices, that more accurately reflect the cost of doing business. Starting in January, MoviePass will roll out a new pricing scheme that will allow you to pay as little as $10 or as much as $25 per month for three movie tickets, depending on where you live and how many restrictions you can cope with. If people sign up, MoviePass will finally have a business model that’s within shouting distance of survival. But that if hinges on how wide a gulf exists between what’s good for MoviePass and what moviegoers actually want. A lot has changed in the last 16 months—not much of it in MoviePass’ favor. It wasn’t supposed to be like this. When its $10 unlimited plan launched in August 2017, MoviePass CEO Mitch Lowe detailed a path to success. MoviePass would lose money on subscribers initially, sure, but would eventually gain enough leverage that theaters and studios would have no choice but to partner up, sharing concessions revenue with and throwing marketing dollars at a self-proclaimed savior of a flagging industry. Some of that did happen. But nowhere near quickly enough to outpace the money MoviePass was setting on fire. It also created the first wave of customer complaints, as MoviePass struggled even to send the debit cards that underpin the service to subscribers in anything close to a timely fashion. But popularity bred other issues as well. In March, beset by fraud common to the industry, MoviePass began demanding that some users take photos of their ticket stubs and upload them to the app. In July, it added surge pricing, a surcharge of up to $6 per ticket for popular shows. Later that same month, Helios and Matheson ran out of cash during opening weekend for Mission: Impossible—Fallout, prompting a systemwide outage. 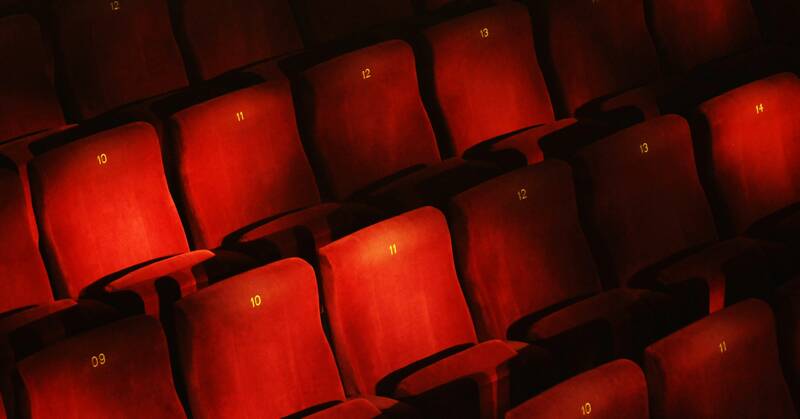 In September, MoviePass began automatically enrolling members whose plans had previously lapsed or been canceled, requiring them to opt out of a subscription they never asked for in the first place. This is the short list of grievances. As of Wednesday, MoviePass has 2,493 complaints against it filed with the Better Business Bureau, where it has an F rating. Helios and Matheson has faced multiple class-action lawsuits, and a securities fraud probe by the New York attorney general. The company, and its customers, have been caught in an unpleasant ouroboros: The more money it lost, the more restrictions it placed on its plans. In its recent third-quarter earnings report, Helios and Matheson cited a “significant decline” in MoviePass subscribers. Those that remain now see less than one movie per month on average, compared with 2.23 movies per month as recently as March. Fewer customers using your service less frequently is normally cause for alarm; in MoviePass’ case, it’s keeping the lights on. “At the end of the day, I think what a lot of people have lost sight of is that MoviePass is a technology company. Tech companies test and iterate, test and iterate. We almost did so to a fault,” says MoviePass executive vice president Khalid Itum, who oversees much of the company’s day-to-day business. MoviePass, in turn, may have lost sight of the fact that it’s also a consumer services company, and that those tests and iterations can feel quite a bit like being jerked around. So yes, a fresh start seems in order. Assuming it’s not too late. A little more detail on those new plans: The lowest tier, called Select, looks a lot like the current iteration of MoviePass, which restricts what subscribers can see, a policy the company instituted in July in an attempt to stem losses. This past weekend that meant that only four of the top 20 movies at the box office were available, with no more than two titles available on any given day. In fact, for a lot of people, Select may turn out to be a worse deal than what they currently have. Folks in small markets will still pay $10, but mid-sized markets will pay $13 per month, and major markets will see a recurring $15 charge. Lowe and Itum declined to say whether current subscribers would be grandfathered in to their current $10 rate, regardless of geography. They also would not say what percentage of existing MoviePass customers currently fit into each tier. The Select selection, too, likely won’t improve much. MoviePass plans to eventually base availability on what Itum calls an “inventory-driven model,” in which movie theaters can dictate MoviePass showtimes based on which seats they most need to fill. In other words, the seats no one wants. Itum argues that the plan should still appeal to people who value price more than choice. And in a vacuum, it might. But MoviePass now faces rivals like Sinemia, a similar service currently offering three tickets per month to 2-D movies, with no inventory restrictions, for $9 per month. For $20 per month, AMC Stubs A-List gives you three movies per week, including IMAX and 3-D showings. And infrequent moviegoers might find the $9 Cinemark Movie Club subscription more appealing; it’s just one 2-D movie per month, but comes with no other restrictions, includes 20 percent off of concessions, and lets you roll over unused tickets from one month to the next. The other new MoviePass plans, fortunately, let you see whatever movie you want. The three-movie “All Access” plan has geographic pricing tiers of $15, $18, and $20, while the “Red Carpet” plan gets you into an IMAX or 3-D movie for one of those three viewings, at $20, $22, or $25. All of the plans are month-to-month. If you live anywhere near an AMC, it’s hard to make a case for them, especially if you live in a pricey major market. The best new MoviePass deal comes in the form of gift subscriptions. For a limited time, a year of All Access costs $120, or $100 each if you buy two or more, while a year of Red Carpet costs $150, or $140 each if you buy multiples. They’re the same price no matter where the recipient lives. But Lowe and Itum argue that the slower cash burn has made the situation not quite as dire—albeit at the expense of paying customers—and that the new plans will keep it afloat. Lowe says that MoviePass created a lot of enemies when it made its Kool-Aid Man entrance on the scene. Exhibitors hated that it devalued the moviegoing experience. Studios balked, Itum says, at MoviePass’ attempt to cut into their profits. The new MoviePass offers an olive branch to the businesses that the company so fiercely disrupted. The barbarians at the gate haven’t just abandoned their siege, they’re now building trade routes instead. It offers fewer concessions, though, to actual moviegoers, many of whom had at best a rocky year with the service. Doing so may require a gut renovation. It’s unclear what form that might take, or how some of MoviePass’ ancillary business interests—it bought MovieFone in April, and has taken stakes in several original films through MoviePass Ventures—might fit in. Helios and Matheson has also looked into spinning MoviePass off as a separate entity; whether that will happen, and what impact it might have, remain uncertain. Whether MoviePass manages to do so will play out soon enough. If it does, you’re looking at a decent enough deal, if you reliably go to the movies a few times a month, and don’t want to be locked into AMC theaters. But it seems worth waiting to see if MoviePass has improved for moviegoers as much as it has for studios and theater chains. MoviePass’ success gave rise to a handful of imitators who offer viable alternatives. They may not be perfect, but they haven’t put their subscribers through quite so many plot twists.